iStock is one of the favorite stock photo marketplaces of many bloggers, web designers and businesspersons. It has millions of handpicked premium images, offered at ridiculously low prices. Founded in 2000, it pioneered the crowd-sourced stock industry and became the original source of creative assets. For over 15 years, it has provided artists a platform to make money and has offered individuals around the world stock assets to use in various projects. Today, the stock photo company remains as the key destination of creative professionals who want to create amazing projects without breaking the bank. 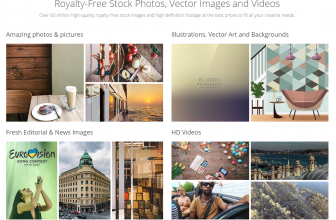 It believes that customers deserve the best visual content; thus, it also offers millions of unique stock images you can only find in iStock. In addition, it partners with Stock Photo Secrets to give customers the opportunity to further their savings. Our collaboration lets you save hundreds to thousands of dollars easily. What’s up for grabs this year? This year, we got our hands on new iStock promo codes for new and existing customers. We are very happy to offer these iStock coupons that will save you 15% off on subscriptions and 10% off on credit packs. Which coupon code should you get? Determine how many images you need and how much you are able to spend to know whether you should subscribe to an image plan or purchase credit packs. The offer is valid through June 30, 2016, so hurry – redeem it here. 15% off on Image Subscriptions for all Customers. Unlike other promos, these coupon codes will give you discounts on yearly subscriptions. It is available to all our readers – both new and existing customers. iStock has two types of subscription: Essentials and Signature. Both subscriptions let you download images at the best rates. They also let you rollover unused downloads onto the next month. However, Essentials offer images that you will also find in other stock sites while Signature has a collection exclusive to iStock. 10% off on Credit Packs for New Customers. 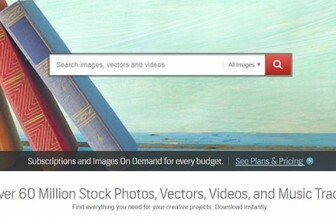 For new customers, we recommend this iStock promo if you do not have regular creative needs. Download credits offer the best value for your money. It is the best way to find out whether iStock suits your needs and budget or not. Credits packs let you save more when you buy more. Thus, we recommend purchasing 60 or more credits to get a better deal on our coupons. The best thing about credits is they do not expire. You can use them anytime within a year from purchase. What are you waiting for? 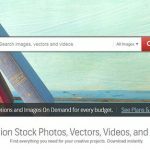 Get these amazing iStock coupon codes now and save hundreds to thousands of dollars. Simply redeem the code here and enter it upon checkout to avail of our exclusive discounts.